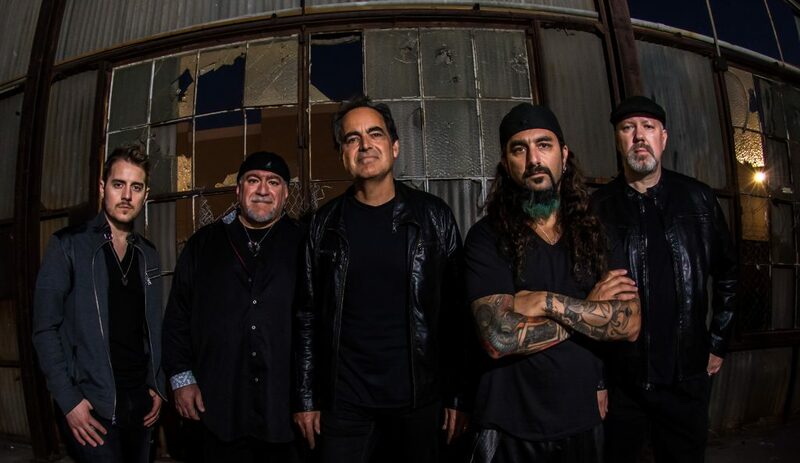 Neal Morse is a singer, multi-instrumentalist, composer and leader of the Neal Morse Band. In 1995, he and his brother, Alan Morse, formed the progressive rock band Spock’s Beard. In 1999, after achieving some moderate success and being recognized as a pioneer in the genre, Neal joined former Dream Theater co-founder Mike Portnoy, Flower Kings’ Roine Stolt and Marillion’s Pete Trewavas to form the prog super-group Transatlantic. In 2002, Neal Morse followed his heart to embark on a Christian rock solo career, releasing many progressive rock concept albums about his faith. He continued to play with Transatlantic and formed three new bands, Yellow Matter Custard, Flying Colors and The Neal Morse Band. Please take us back to the beginning and tell us how you and your brothers (Alan and Richard) became interested in music? Our father was a music teacher and choir director, so we all were singing harmony before we were out of diapers probably! It’s crazy … we were singing rather complex harmony, classical stuff and madrigals when we were very very young. Not only was music the thing in our culture and in our house but it was definitely the thing among the brothers. We were all interested in the same field. Please tells how transitioned into writing music and putting together your first bands, eventually becoming a virtuoso multi-instrumentalist, songwriter/producer? Well we all loved the Beatles at first, and then we got into other pop groups and other things, and then rock groups like Deep purple and grand Funk Railroad. Then came the Prog bands like Yes and ELP. My brothers and I had a band when I was a teenager, and that’s what we did all the time. We played music all the time just for fun. Imagine! So then I started writing in my late teens. I begin writing four songs a day sometimes! (I think.) And we played all the LA clubs. We played cover gigs, original gigs and then I joined other bands and just kept at it for a really long time. I guess practice makes perfect … after 35 years I finally put a record out! 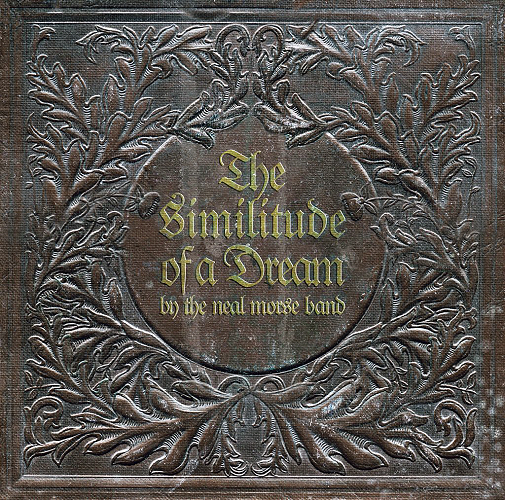 Your drummer, Mike Portnoy, has said that your new double CD “Similitude Of A Dream” is “the album of his career.” The story tells about the journey of a pilgrim as he enters the gates of Heaven. Please tell us about the concept of this album and what inspired you to record this project? Last December, I had some early-morning ideas and as I was laying them down I had the feeling like I needed some direction. Somewhere in the back of my mind I remembered that a guy on the Internet (maybe it was a Tweet … I don’t know?) had suggested that I do a concept album about pilgrim’s progress. I didn’t own the book and I hadn’t read it, so I Googled the spark notes on the Internet and as I looked at the synopsis of the story, I began singing things into my phone. I wasn’t sure if that was the direction that the band should go or if it was something I should just write on my own. Then in January I sent all those voice memos from my phone to the band and we started working on those ideas and other things that they brought to the table. 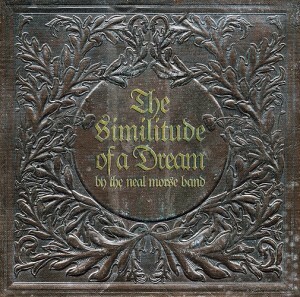 Of course, over time this became the “Similitude” album. But, there was a lot of input from everyone along the way. You recently added two new members to the group on “The Grand Experiment” with Eric Gillette on guitar and Bill Hubauer on keyboards. They join you, Mike Portnoy and Randy George on bass. 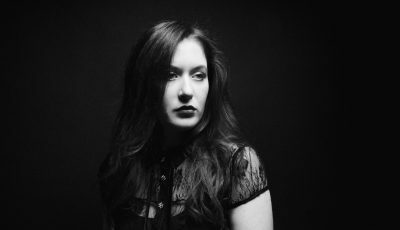 Please tell us how you came to connect with these new musicians and how they have contributed to the band both vocally and instrumentally? Where else do people meet each other these days? YouTube! I held auditions about four years ago. I was looking to put together a five piece band that could do it all, and I think we’ve definitely achieve that and more! Bill and Eric are more phenomenal than I had ever dreamed. Not only are they amazing multi instrumentalists and vocalists but they’re also really strong songwriters as well. I can’t say enough about what they brought to this album. I think it’s really their involvement that is put this album over-the-top! Your fourth video from the new album for the song “The Ways Of A Fool” has just been released. This song is upbeat and quirky, with some great musical interludes. 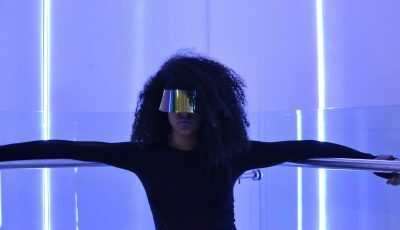 Please tell us about the making of this video and the concept of the woman in the mask? I’m not entirely sure what the Director’s concept is/was? We didn’t really discuss it that much. Christian Rios is the guy who made the video and he’s done a lot of really cool things for us for the video wall for our live shows, and we just turned him loose on it and I think he did an amazing job! It really makes you think! I think where he’s coming from is that she abandons her true self and takes the wrong advice and gets off course and winds up feeling like someone who’s wearing a mask. But, you’d have to ask him to know for sure! Having followed your career for decades, I have to say it has become apparent that you always strive to take music to another level. Your music has been compared to The Beatles, Yes, ELP, Pink Floyd, Gentle Giant and early Genesis, among others. You began your career as many of those groups were disbanding, going through lineup changes, or fading off into the sunset. Do you feel that you’ve carried on the torch for these bands? I certainly hope so! But really, it’s not about carrying torches or any kind of comparison to any other bands or music, it’s really about creating from nowhere and doing what you feel like God has called you to do. For me, this has always been about trying to do something outstanding and unique in the field of music which I love so much. You are obviously an extremely prolific writer. You must have music playing in your head constantly? Where does it come from and how do you capture the inspiration when it comes? I have an iPhone. 🙂 Actually, it’s true the iPhone is a great tool for me … I used to record all my ideas onto a handheld cassette player… I had to carry it around with me everywhere because I never knew when inspiration was going to strike. And then I had all these cassettes with random ideas on them, so it was very difficult to locate those ideas. So the phone is a great tool. As for where these things come from, I believe that it really comes from the hand of God. I don’t know how it works … If angels are singing in people’s minds or how it works? But I know that that’s where my inspiration comes from. When you ventured out on your solo career, you recorded an autobiographical masterpiece double album entitled “Testimony”. This was right about the time you were leaving Spock’s Beard and Transatlantic to launch your own solo career. I’ve always thought that “Testimony” was “divinely inspired” along with “Testimony II” (and the rest of your solo works). Please tell us about this transition in your life and how it resulted in this album being recorded? Wow! That’s a big question. Well, the simple version of that story is that one day on my morning run when I was praying. I felt like God was speaking to my heart and telling me that it was time to quit Spock’s Beard. So, I felt like what I should do is finish the album we were working on and then tell the band, so about nine months later when we finished the album we gathered together in a room and I had to tell them. It was very difficult but I feel like the Lord has really blessed all of us through these years. It was about three months after that when the musical ideas that became the testimony album poured out of me like a flood. I was still using the cassette player and I think I must’ve filled up 7 90 minute cassettes with ideas. I felt like it was God’s way of telling me that he has more. He always has more. Just when you think everything is going to dry up He will pour out even more than you can contain. There are certainly some. Although, “Testimony” was my own personal story, and very specifically, “Similitude” is much more of a general allegory. Hopefully, people will see themselves in it and relate to it. I know that I do. You seem to be one of the few artists out there who actually uses real horns and strings in your production (or did you actually fool my ears?) Please tell us why you prefer to go the extra distance to use the real instruments and performers in your recordings? How did the stars align to form Transatlantic, a Progressive Rock super-group that included yourself, Mike Portnoy (Dream Theater), Pete Trewavas (Flower Kings) and Roine Stolt (Marillion)? That project started off with Mike Portnoy calling me on the phone (back when people actually called each other on the phone) and the first thing I did was tell him how thankful I was for all the great press he was giving my band, Spock’s Beard, at the time. We got to talking and he told me he was interested in doing a side project with me and Jim Metheos from Fates Warning. That never worked out with Jim so I suggested Mr. Stolt from the Flower Kings, and Mike suggested Pete from Marillion. We had never met before we gathered in the lobby of the studio in New York where we recorded our first album. That was the first time we actually physically met in 1999. You’ve worked with some big names including Steve Morse, Steve Hackett, Kevin Gilbert, Greg Bissonette, Kerry Livgren (Kansas) and the Transatlantic lineup. Who would you like to collaborate with in the future? Well come on, you know we always have our crazy wish list right? I would love to work with Peter Gabriel someday. Paul McCartney … John Mayer … There’s a lot of great people out there man! I’d love to do a concert and an album with a real symphony orchestra. That would be a real dream for me! You are obviously using a top notch recording facility which I’m guessing has some of the newest technology you can find. What are some vintage instruments and recording gear that you still like to use? and a lot of the keyboard sounds that I use are samples of old instruments like Mellotrons and stuff like that. To me, the old gear sounds better. Please tell us about the challenges of running your own independent record label. You seem to have a team doing everything from the recording to the marketing, booking and social media. Please tell us what it’s like running this enterprise? It’s a bit of work, but it’s alright! I started Radiant because I wanted to have my hands on the steering wheel of my own career so to speak, and it’s been really good for us. I also love helping other people out and we sell other people’s music on our website and what not. It’s just a lot of organizing and making sure that you have talked to your social media person, then making sure that your fulfillment person is on top of things, you know, following up with people. But, we have great people here at Radiant and I am very very blessed to be a part of it. You seem to have found your niche and you can reach your audience without the need for the pop music machine and chasing charts. What are some of the changes you’d like to see in the music business? More great music being produced! There’s a lot of great stuff out there… It’s hard to keep track of it all. But at the end of the day it’s all about the music that’s being put out there and enriching our lives and culture. So that’s what it’s all about for me … I’d like to see and hear more great music. What are your thoughts on the $10 “All You Can Eat” streaming model as both a music consumer and a creator of music? Is this the long-term solution to the piracy of the last decade? Or does the independent “niche” artist need to keep selling CDs and downloads to survive? From what I gather, the streaming services don’t pay artists or small labels hardly anything worth mentioning. So I’m not involved with that. It seems to me that, while I understand that it is very attractive to the consumer, being able to listen to whatever you want in perfect quality whenever you want it, it is not beneficial for the artist or labels. We need to make money for all of our work or we won’t be able to put all of our work into the music! Also, there’s the question of value. When people pay for things they value it more. I think it’s an important principle of giving and receiving on both ends. The term “Progressive Rock” is sometimes used to describe a style of music from the 70s as groups of that era were pushing the boundaries, but by definition this actually means “moving forward.” How do you feel about being described as a “progressive rock” band and how do you feel about your role in moving music forward and testing the limits? Is this a label that you embrace? Sure. Just like anything else, the name of this genre of music has kind of evolved and changed over time. But, I’m not really that concerned about titles … It’s really all about freely creating music that is outside of normal song structure and being able to write whatever we want. In 2015 you contributed a song the Spock’s Beard compilation “The First Twenty Years” and you joined them on-stage at some festivals. What are your future plans for more music from Transatlantic and Flying Colors? At this time there are no plans for Transatlantic. However, Flying Colors is gathering at Steve’s place in December to write and possibly record a new album. We are all really really excited about that! Do you have any advice for young musicians who are just starting out? Put your whole heart into it! And make sure that you are really doing your due diligence to be the best that you can be. Know that it’s going to be tough going in and give it your all … if you must. I think that people should only get into music if they feel they just have to! What are your thoughts about being a musician in this day and age? I think it’s great! Jon Anderson and I were talking the other night about how the door is just wide-open these days! Think about it … people can create something in their basement and instantly make it available for the entire world. It’s a pretty wide open field right now. Left Field Question: There’s a great acoustic piece called, “Chatauqua” on Spock’s Beard “Beware Of Darkness” album. Is that you or your brother Alan playing that song? I saw a blog that said that it was Alan? And if you know … is it played with a pick? Or without? I played it without a pick. Who are some of the new artists that inspire you? I’m always looking! He’s not really new but I have been listening to a lot of John Mayer lately. There is just such a good vibe in his stuff! There’s also a singer songwriter by the name of John Millea that is relatively unknown that I’ve been really enjoying lately. Occasionally your music has a Latin feel with your piano playing. How did you become interested in this style? Chick Corea. That would be my only exposure to that kind of Latin flavor jazz piano thing. Of course I’m absolutely pathetic compared to him but … We keep trying! What new keyboards are you using these days? I’m not. I’m still using all old stuff like Hammond organs in Mini-Moogs. You are obviously classically trained on piano. Who are some of your favorite Classical artists? I’m a huge Rachmaninoff fan. But, I love a lot of classical music. I go to the symphony as often as I can. There is a Samuel Barber violin concerto that I heard recently that was just off the chart! It was totally Prog. What is the message do you hope to convey to your listeners from your music?